The members of an organization’s Board should be one of its greatest resources. A strong and well functioning board will persistently direct the organization’s administration and programs to the needs of the community, and they will also present the needs of the institution to the community. When the organization’s board is no longer it’s greatest resource, carefully planned board motivation and development services can get you back on track. Our services will emphasize the roles and responsibilities of effective boards and staff, effective communications, effective governance, and leadership succession which will lead to enhanced fund-raising performance. Even the most compelling missions must have excellent people to succeed. 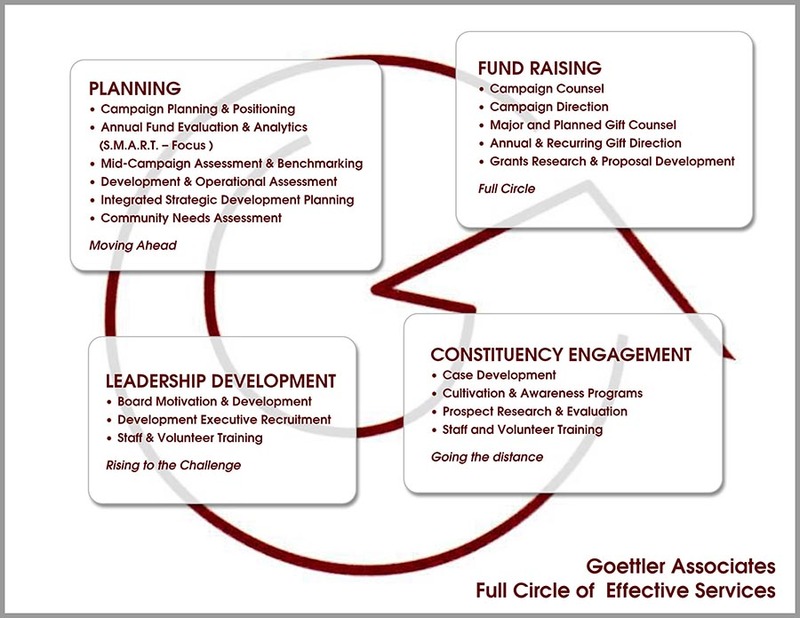 Goettler Associates can direct or support all aspects of the recruitment of critical executive and development professionals. We can direct or support the creation of the proper job descriptions, vetting of resumes, conduct telephone screening interviews, training the organization=s interviewers, or direct the appropriate follow-up to ensure your next hire is the right fit. Unlocking the potential of staff and volunteers is an accomplished strength of our firm. The symbiotic relationship of staff and volunteers will be explored and enhanced to develop effective teams that are then activated to achieve fund-raising goals.